Interested in Selling your Condo in Atlantic I? The Atlantic One luxury condominium is located at The Point of Aventura on The Waterways in the northeast corner of the city of Aventura. To complement the North Tower at the Pointe and South Towers at The Point, the original architect Robert M. Swedroe and landscape architect Walter Bradshaw were brought in again by Coscan Homes to design the three high-rise luxury towers of the Atlantic at the Pointe. Atlantic II was the original, built in 1996 followed by Atlantic III built in 2000 and finally Atlantic I. Finished in 2004, Atlantic One was to be the final tower constructed in The Point luxury development. As such, it is the culmination of Swedroe’s privacy-focused design started in all of the previous Point and Atlantic towers. The Atlantic towers as well as the two Point towers and courtyard homes are set amidst 36 acres of landscaped park area. The Atlantic One at the Point has incredible Intracoastal, city and ocean views and year round bay breezes, plus it is just minutes from all the amenities Miami has to offer. Rising 29 stories above the sea, the residences at Atlantic One are of the most luxurious in the history of Aventura, with all the possible amenities you might imagine and expect. From the 2 oversized swimming pools a waterfront social pool and children’s pool & play area, residents finish the trip home in the quiet elegance of the Atlantic elevators to their own private front door foyer. Additionally, each of the 29 floors houses only five condominiums to guarantee owners a complete feeling of both privacy and peace. All of the Atlantic One condominiums feature window and terrace views on at least two sides of the building. To the north, residents have beautiful waterfront views of the Golden Isles Waterways and Golden Isles Lake; the eastern side provides views of the Intracoastal Waterway as well as the Atlantic Ocean lying beyond a small strip of Golden Beach. Views to the south and west provide a panoramic vista overlooking the landscaped gardens and private marina of The Point community. From the private elevator foyer to the oversized glass-panel terraces, each 2, 3 and 4-bedroom condominiums of Atlantic One offer all the essentials and comforts that make high-end luxury real estate such a pleasure to own. All condominiums feature state-of-the-art wiring, multi-zone, high-efficiency air-conditioning and heating, a private master bedroom terrace and a laundry room fully equipped with Maytag appliances, custom cabinetry, and a built in laundry sink. Living areas feature sweeping floor-to-ceiling sliding glass doors as well as the glass-paneled balcony railing to provide pristine views from all windows. In the kitchen owners will find granite countertops, recessed task lighting, state-of-the-art appliances, and an oversized breakfast room. The Atlantic One opulence also continues into the master bathroom where couples will enjoy his and hers vanities, separate wardrobes, and a romantic oversized marble-deck whirlpool. Lying at the center of The Atlantic One Point community is the 25,000 square foot Residents Club & Spa. The expansive clubhouse features Mediterranean-style architecture, and is open only to Atlantic and Point residents. The facilities include, The Point Place Cafe, a fully equipped cardio, weight training, and aerobics facility, his and hers spa and treatment facilities, billiards, garden, and media rooms, and even a private nail care studio. Within this community, residents have access to a variety of exercise and relaxation activities, such as two oversized swimming pools, a waterfront social pool, and children’s pool and play area, along with an Intracoastal viewing pier. The community also features a waterfront promenade surrounding The Point marina; this boardwalk provides residents with a convenient 1-mile path directly to the local shopping and fine dining at The Waterways Shoppes across the bay. In addition to these community luxuries the tower also includes extra suites available for guest accommodation, as well as a separate staff quarters. Residential hospitality services include valet, concierge, and 24-hour security for convenience and comfort. With everything that you could want in terms of luxury and amenities as well as complete privacy and security, this address is one that you will be glad to call home. With luxury condominium residences for sale as well as for rent, you’ll certainly be able to find the unit that suits you best. Whether you are looking for a cozy place to relax or someplace where you can entertain business associates and friends, you will have everything you need in Atlantic One Tower. If you are looking for the best South Florida luxury condo living experience, you’ve found it right here! State-of-the-art appliance package including: Sub-Zero refrigerator/freezer, Bosch dishwasher, double oven and ceramic glass cook top, externally vented stainless steel cook-top hood from Best by Broan, a warming oven by Dacor, Everhot water dispenser, Kitchen-Aid microwave oven and heavy duty food waste disposer. 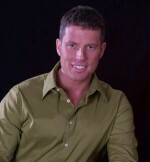 Steve Samuels is known as oneof the premier Aventura Real Estate & Aventura Condo Brokers in the SouthFlorida market. His negotiation skills, market knowledge and no-nonsense,results-driven approach has made him one of the most sought after luxurycondominium, Oceanfront, Beachfront Condos, Oceanfront Villas, and singlefamily waterfront realtors from Miami to Palm Beach County. View MLS Listings for South Beach, MiamiBeach Condos for Sale in South Florida and Miami Beach. CondosandCondos.com isone of the Leading South Beach Real Estate websites where you can findBeachfront Condo Sales, Oceanfront Condos Sales & Rent . Search for Oceanfront Condos Luxury Condos inMiami, Miami Beach, South Beach, Sunny Isles, Hallandale, Key Biscayne, BalHarbour, Fisher Island, Coral Gables, Ocean Drive and all of SouthFlorida. Atlantic I Condos for Salelocated on 21200 Point Place Aventura Florida. Call 305.494.1767 for 2 bedroom,3 bedroom, & 5 Bedroom Atlantic I Condos.